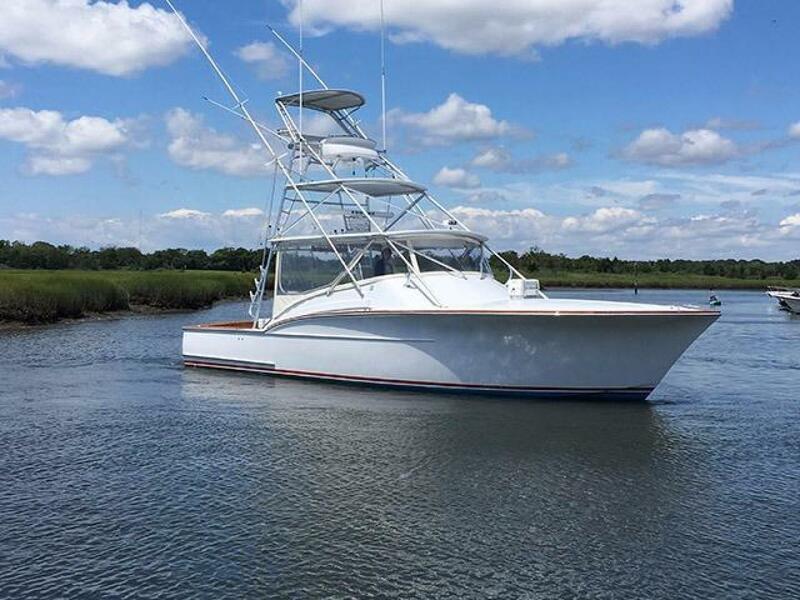 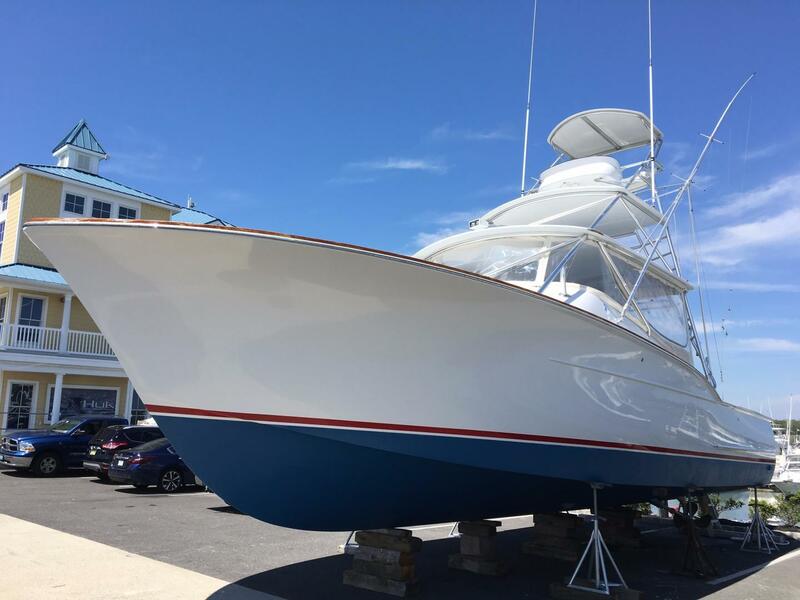 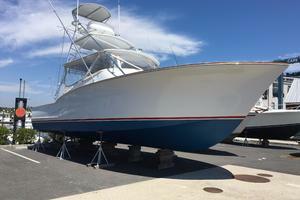 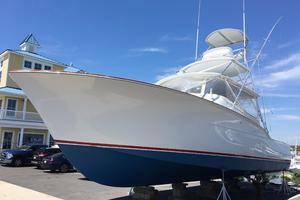 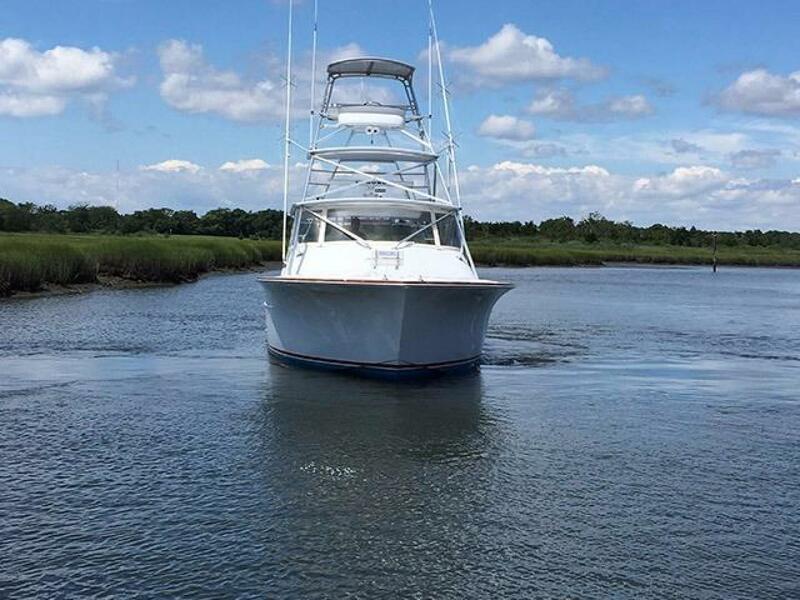 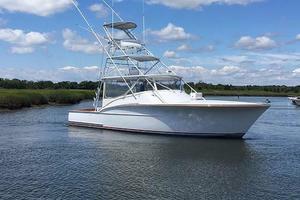 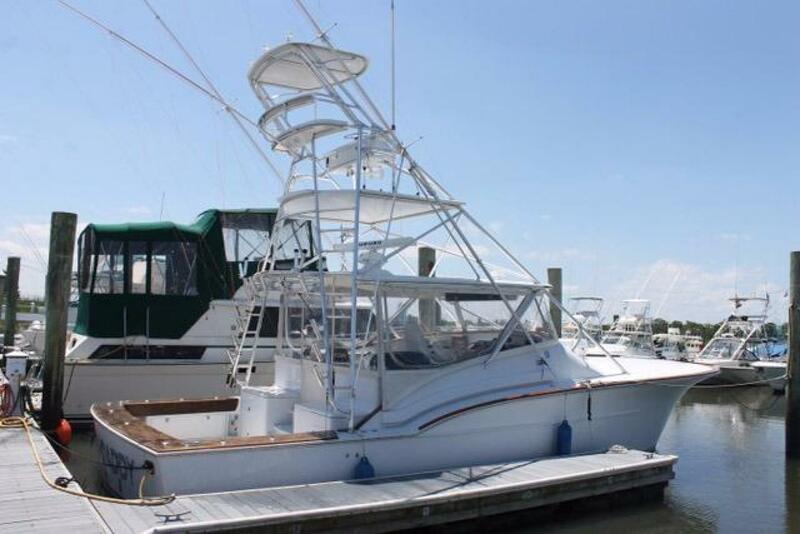 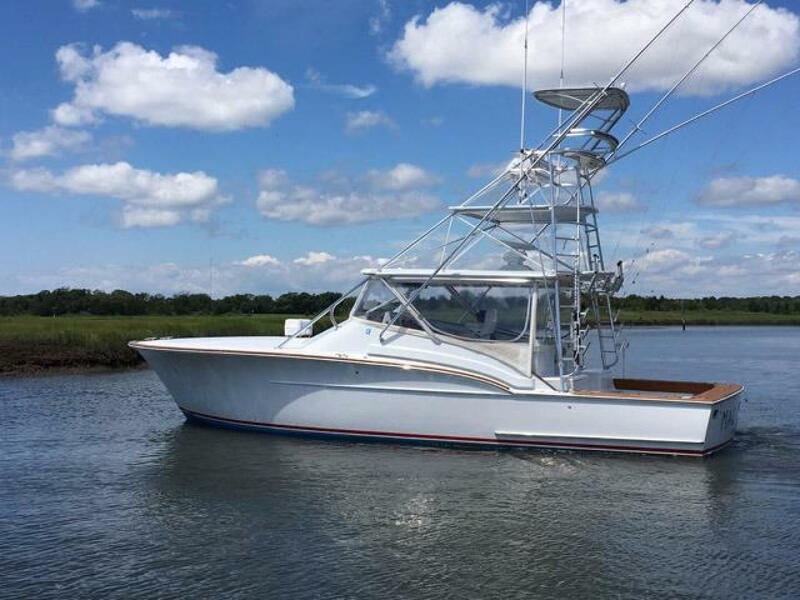 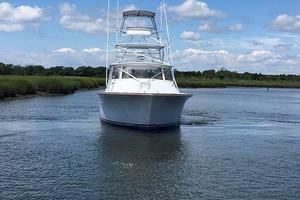 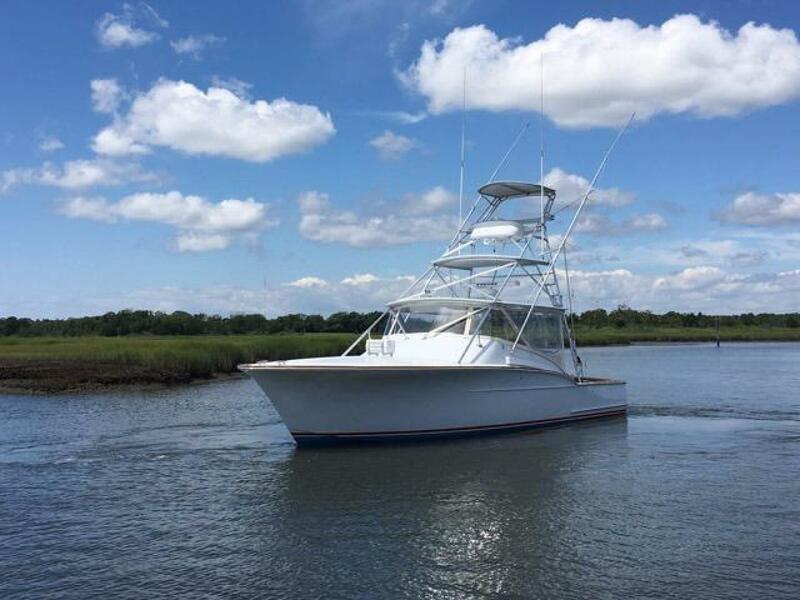 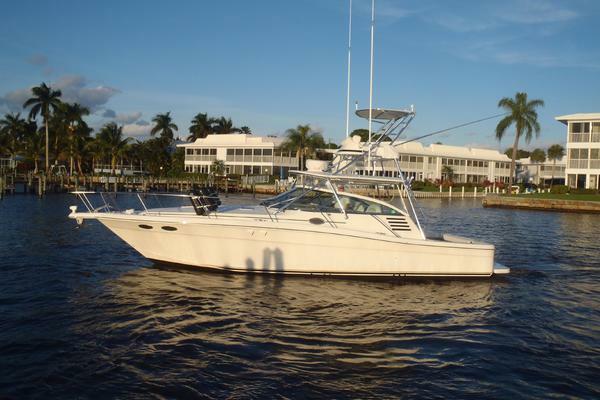 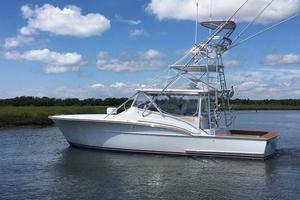 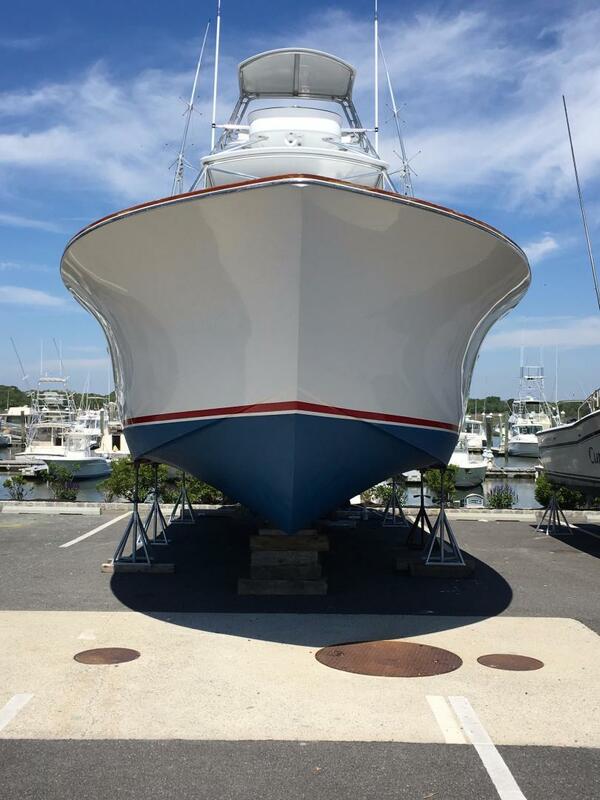 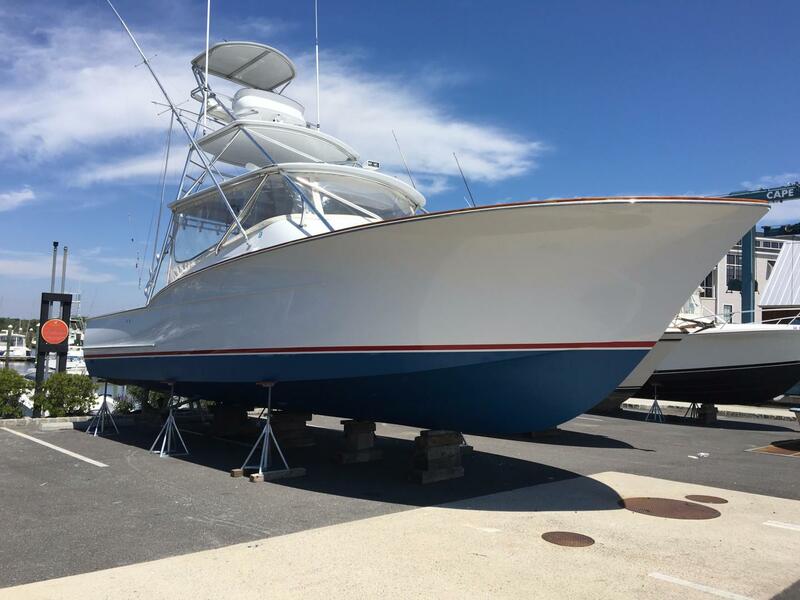 This 40' Custom Express was a Steve French Design of Applied Concepts Unleashed, also known for other exceptional sport fishing designs such as Garlington and Sculley to name a few. Large spacious cockpit, air conditioned helm deck, and a layout that sleep four. 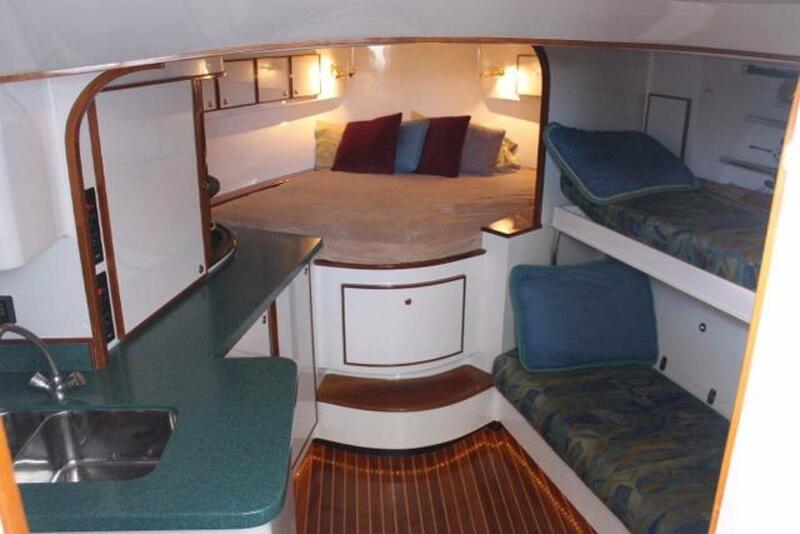 Overnight journeys can be done in comfort. 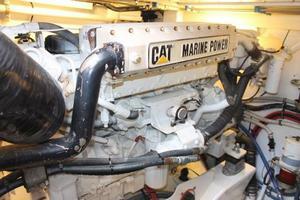 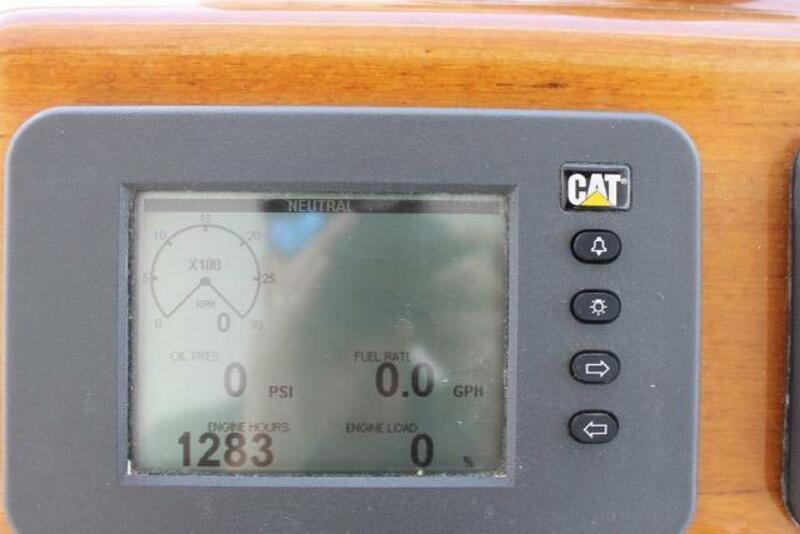 Powered by twin Caterpillar C-12's 710hp she runs a cruise of around 30knots and a tops out around 35knots. 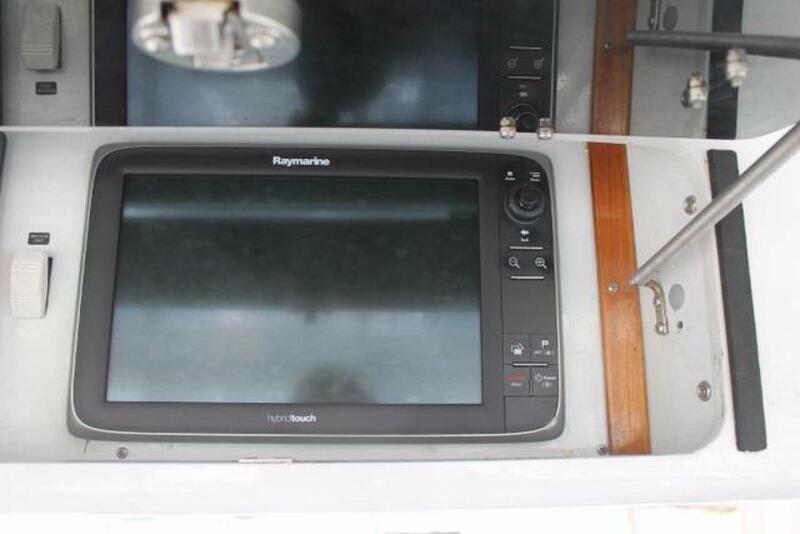 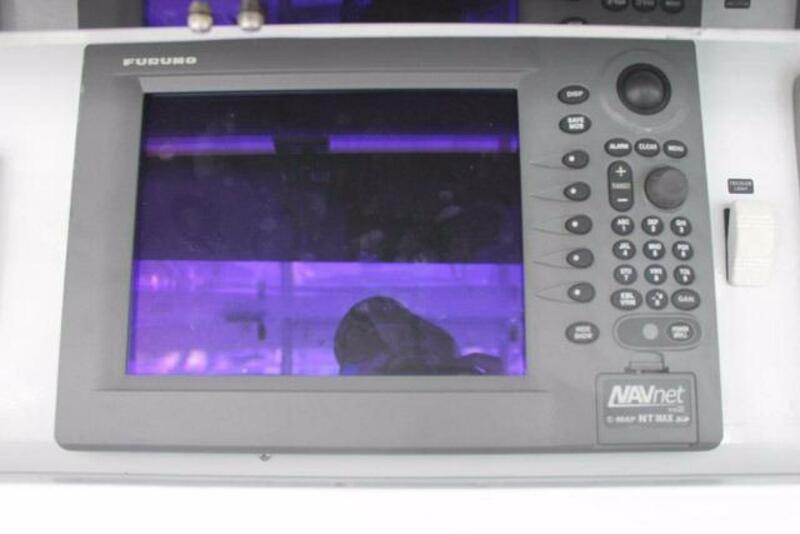 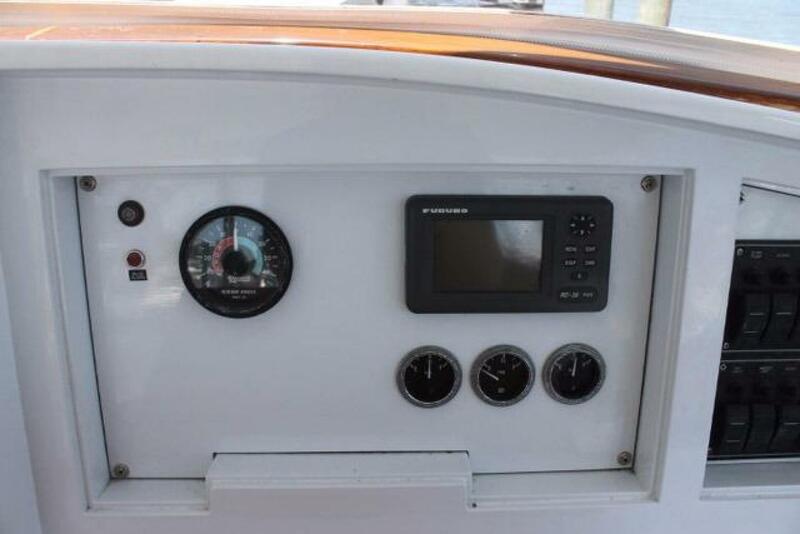 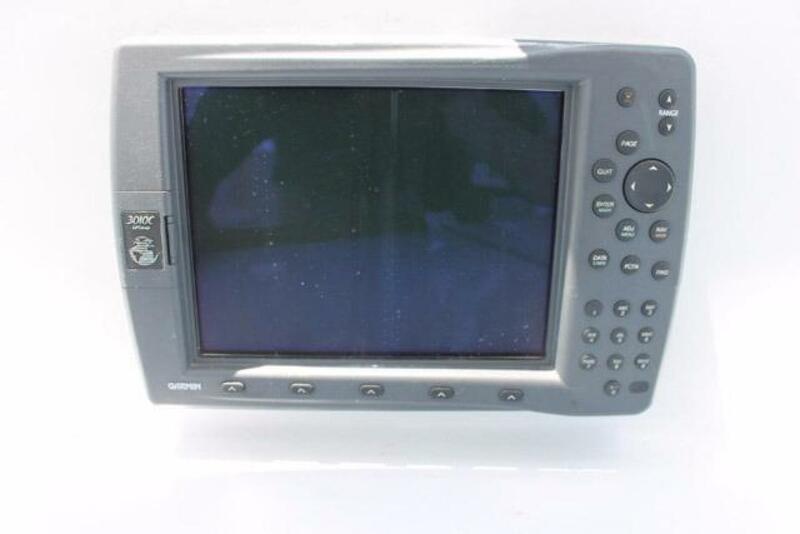 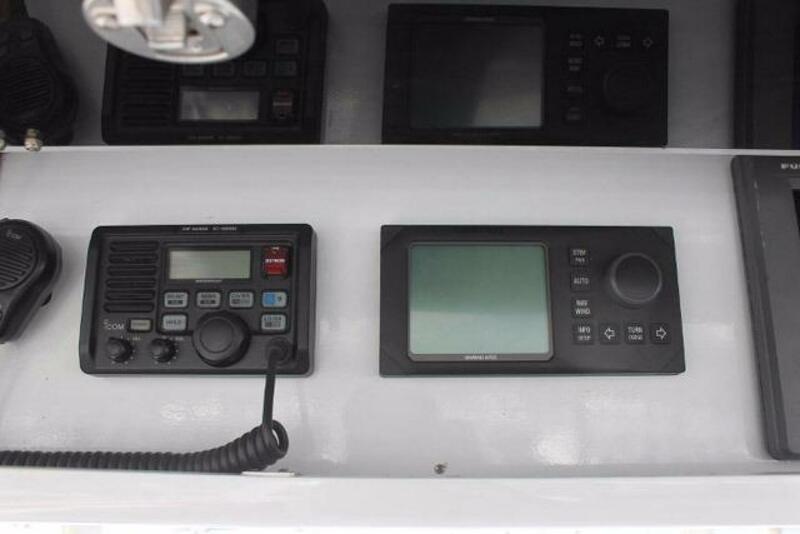 Full tower with steering and controls and an exceptional electronics package that includes, Garmin, Furuno, Simrad, Raymarine and ICOM. 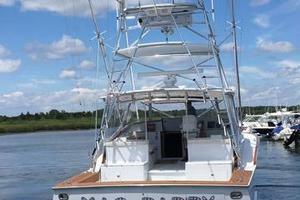 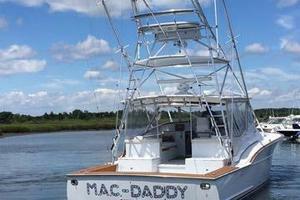 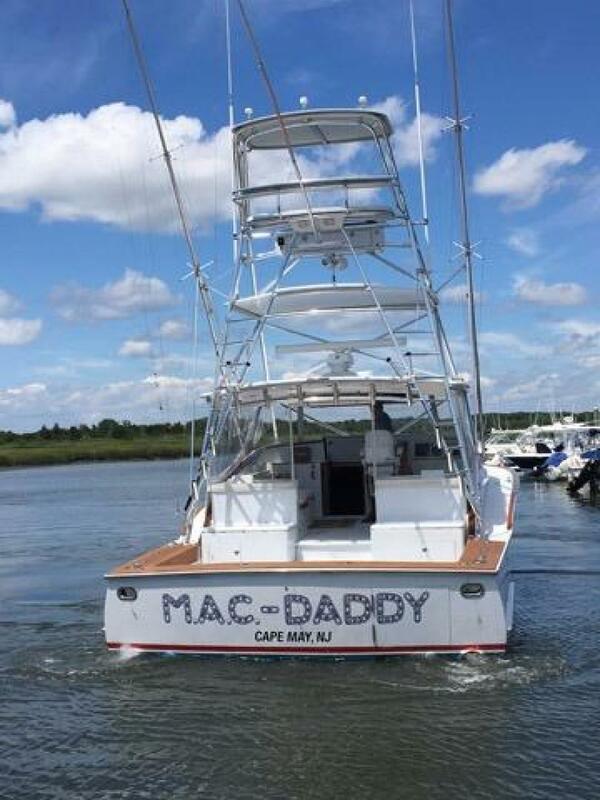 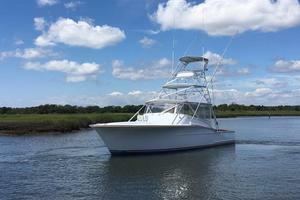 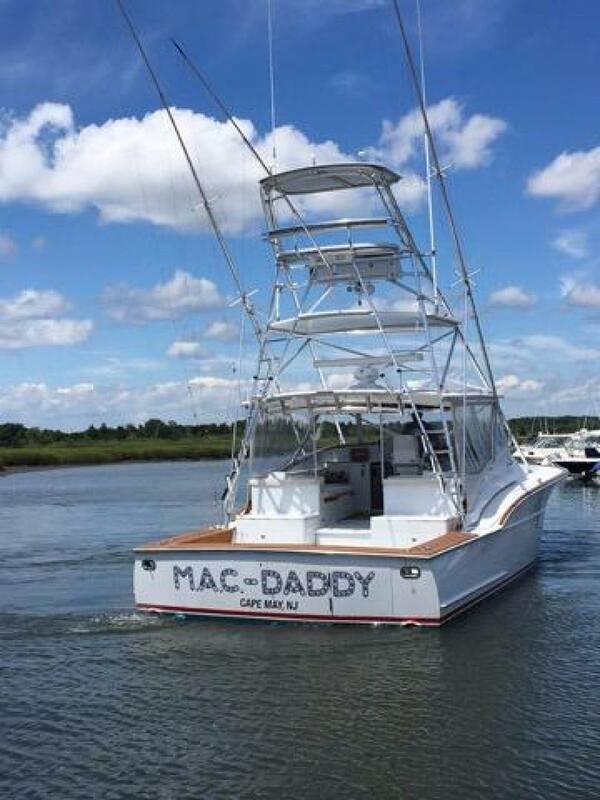 “Mac Daddy” is turn-key and ready to fish. 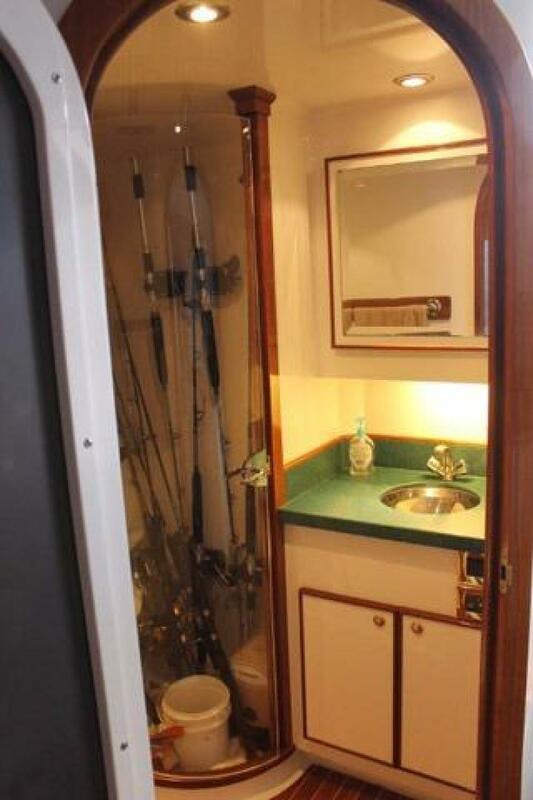 Interior: It's amazing how much space builders squeeze out of boats these days. 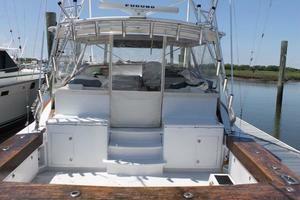 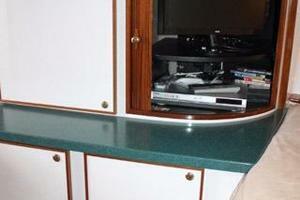 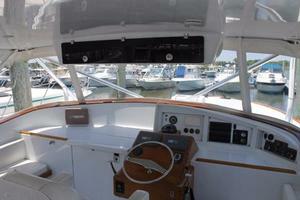 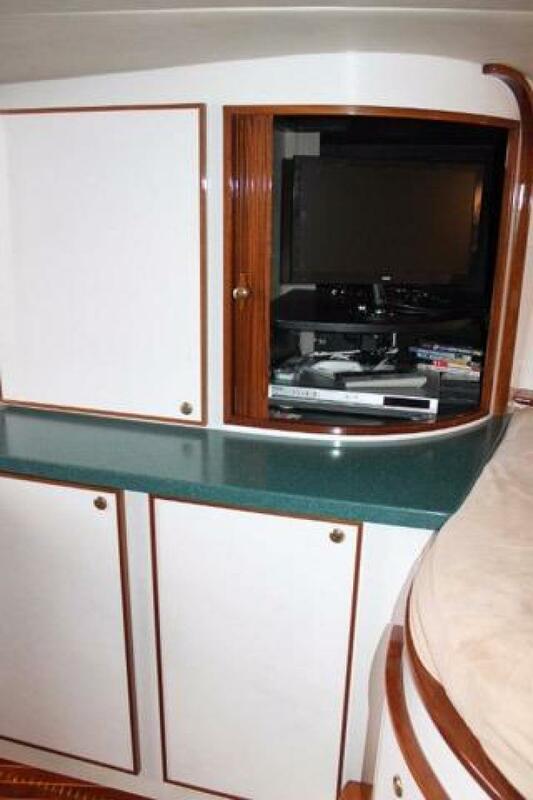 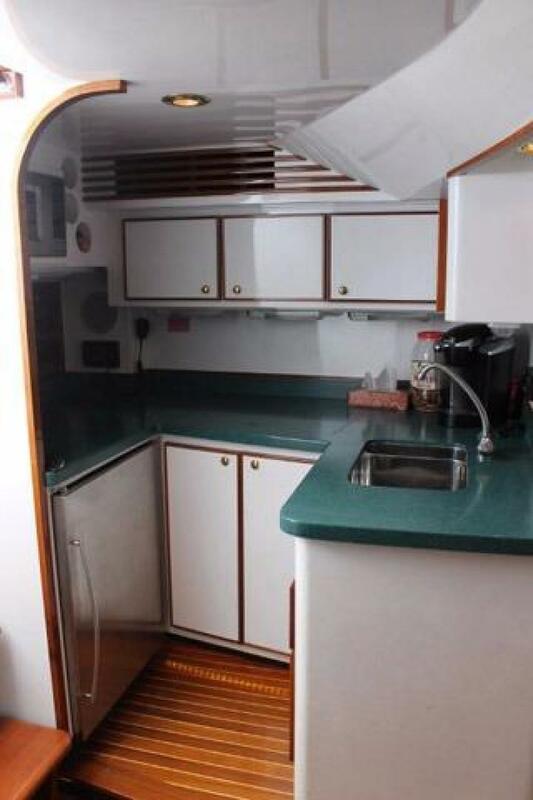 This Hull features a private double-bed cabin in the bow with storage underneath. 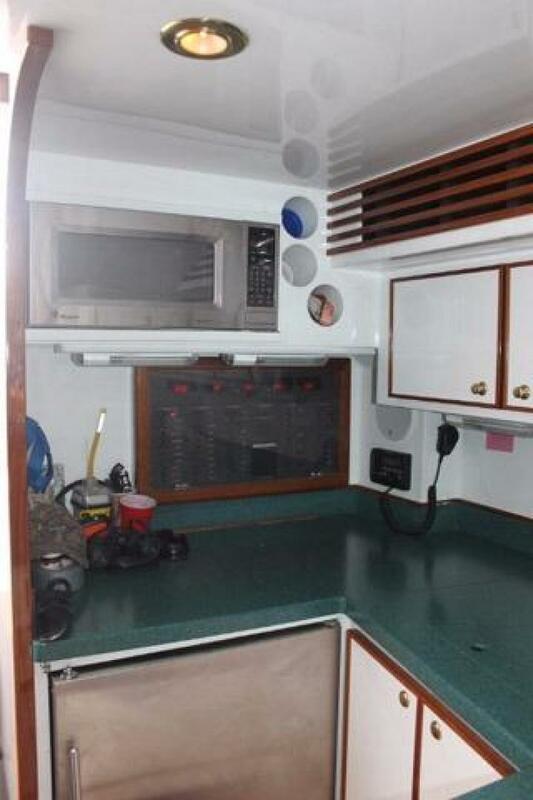 A head with shower, the galley and the salon fill the rest of the space. 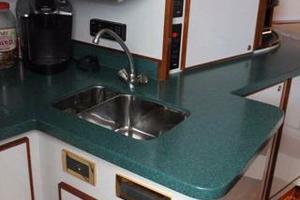 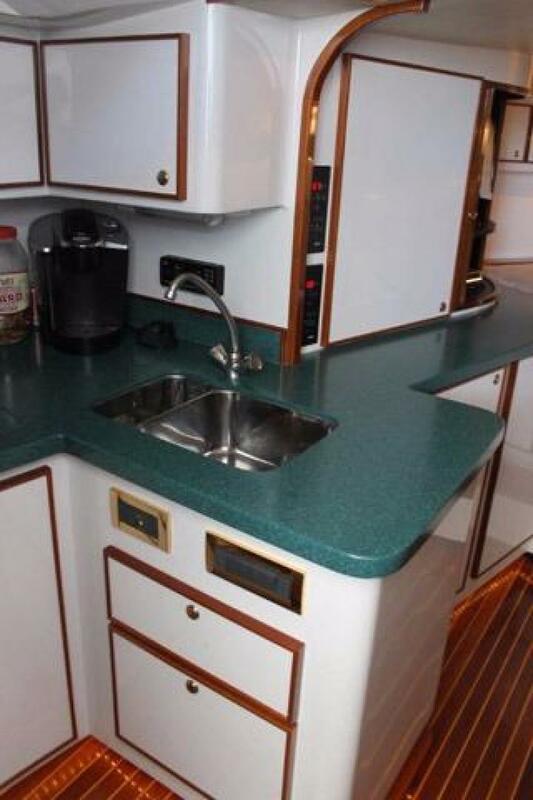 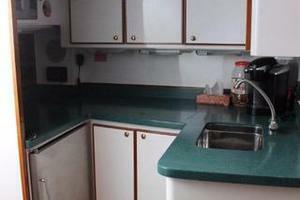 The galley boasts a two-burner cooktop, built-in microwave, Corian counters, and refrigerator and freezer units. The salon offers a spacious settee/lounge area, and the settee converts into a double berth. 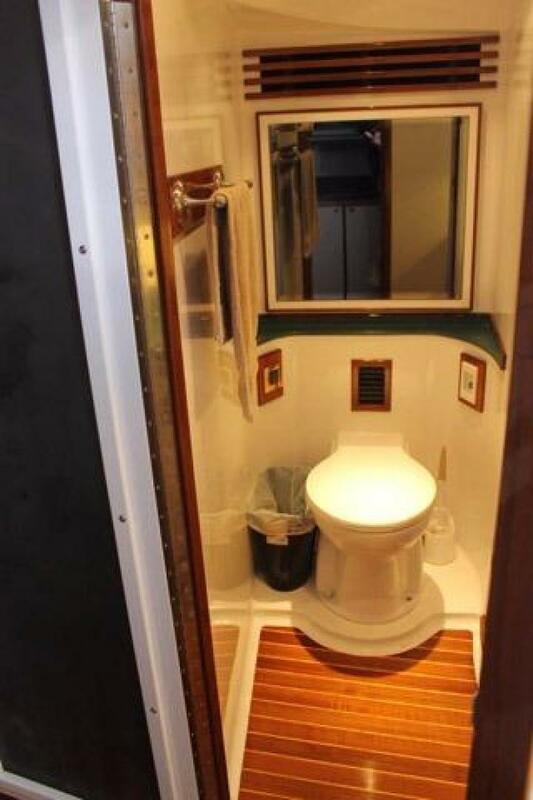 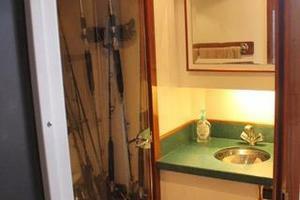 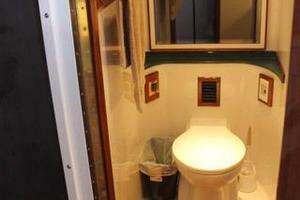 The interior decor on this boat is a custom job. 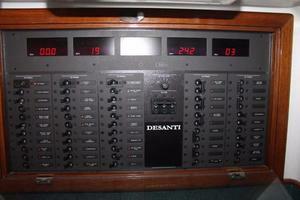 DeSanti always aims to please, and the 40 XPS is no exception. 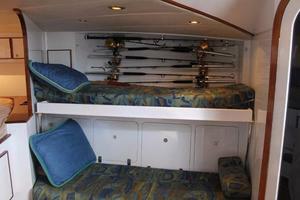 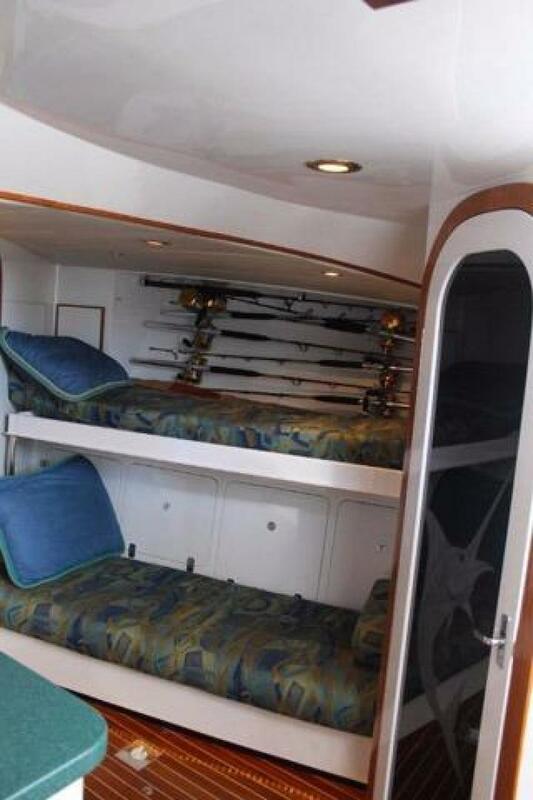 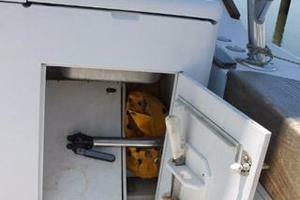 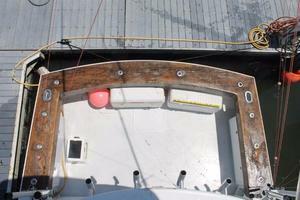 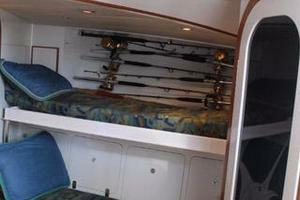 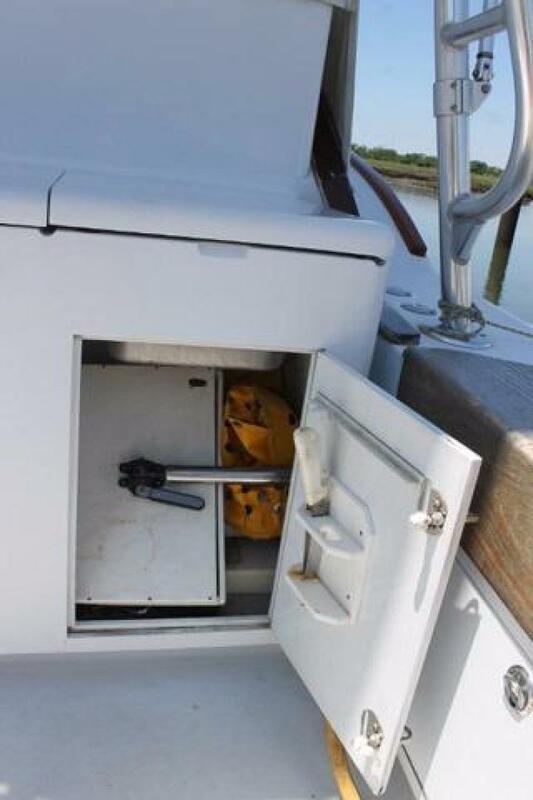 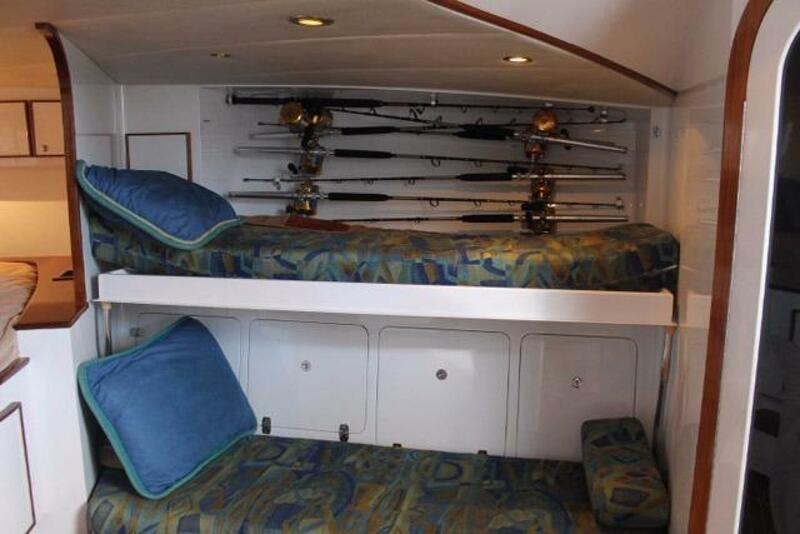 On the starboard side of the salon, the settee converts to stacked bunks, with concealed Rod storage located outboard. 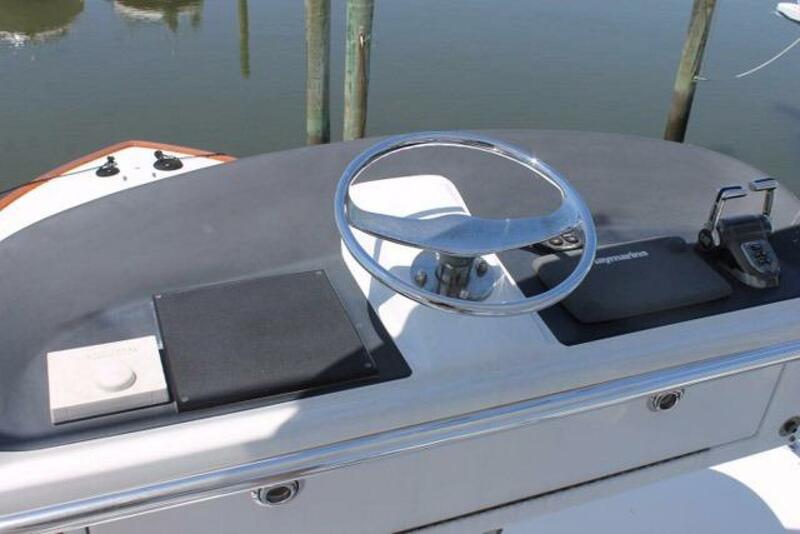 You may find the covering boards slightly wider or larger than what you're used to, but that's all part of DeSanti's overall philosophy of greater safety and security on board. Another aspect of this concept makes a really comfortable cockpit. 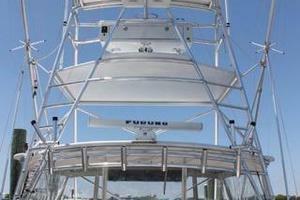 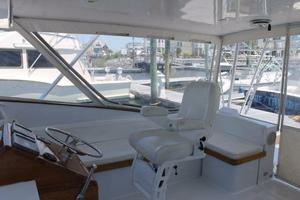 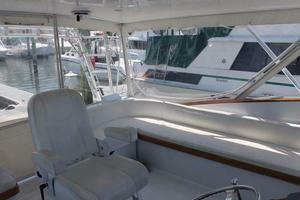 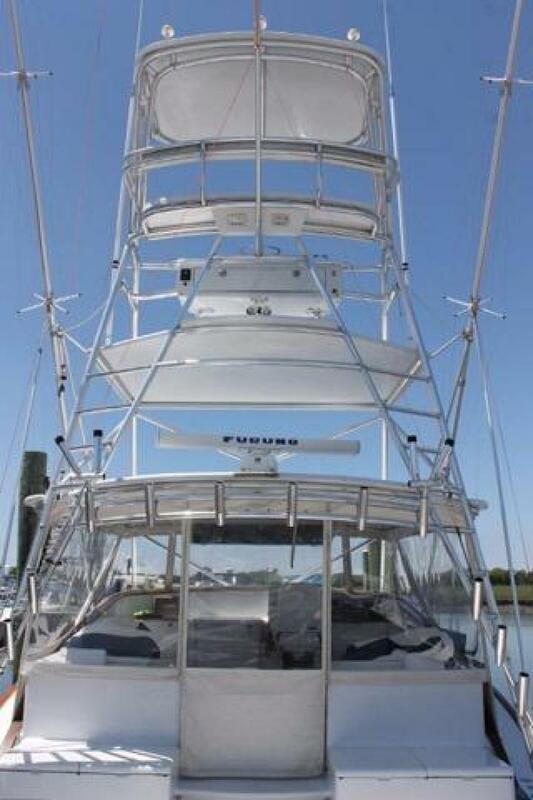 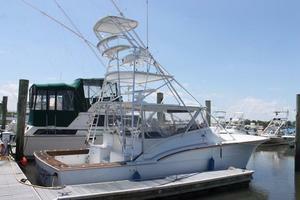 While a beam wider than 15 feet might seem somewhat unusual on a 40-foot express, this enlarged work space in the cockpit results in a more stable fishing platform. 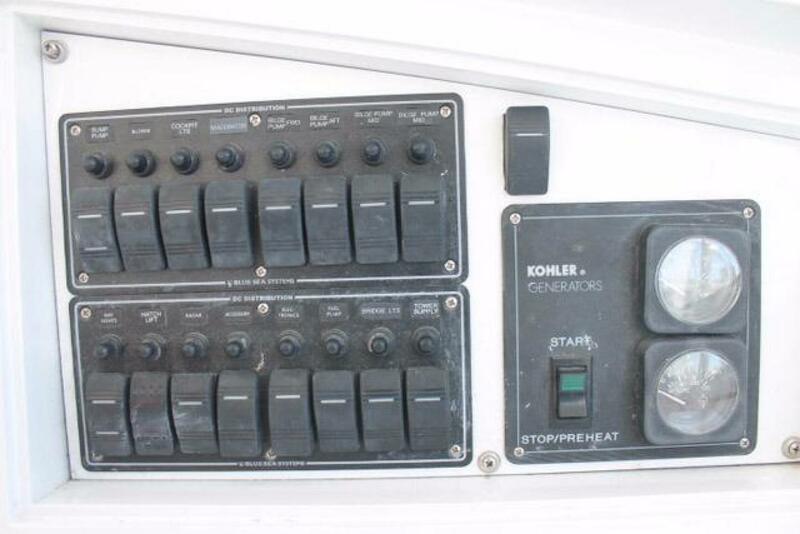 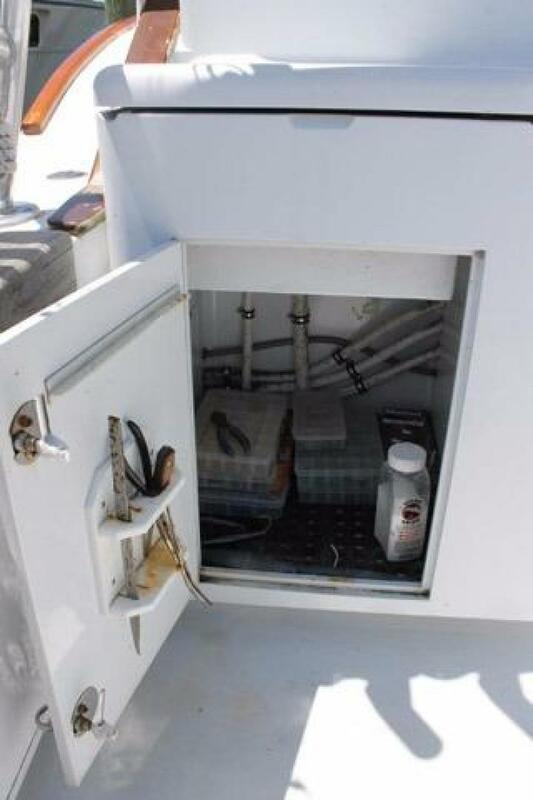 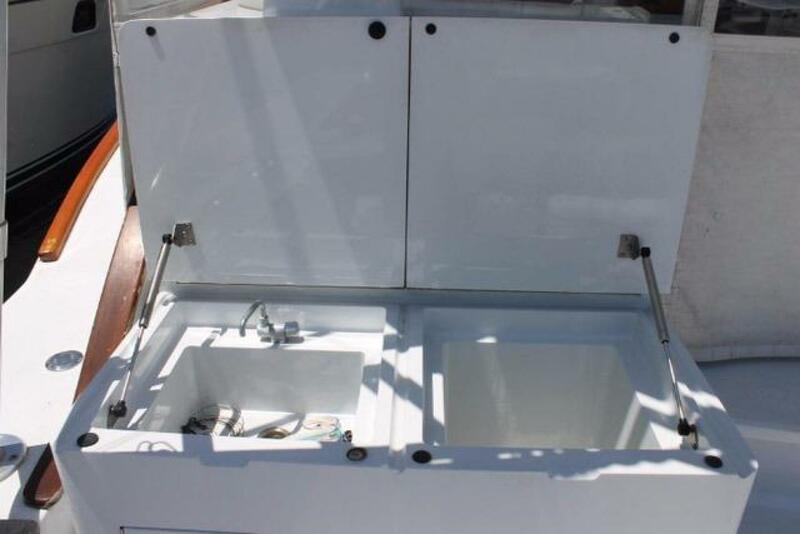 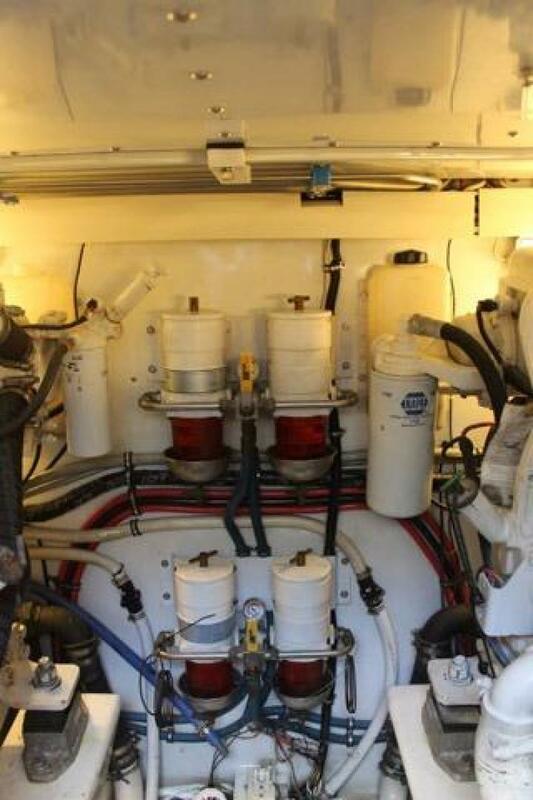 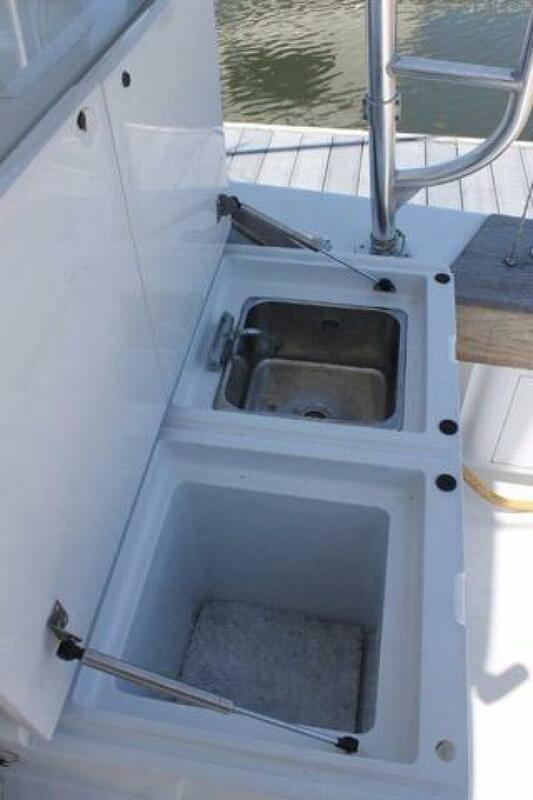 Standard equipment in the pit includes fresh- and saltwater washdowns, under gunwale lighting, nonskid Awlgrip deck, insulated icebox, cockpit sink and tackle storage, and oversize scuppers. 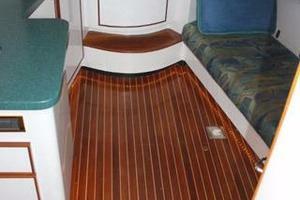 Teak covering and coaming boards with rod holders. 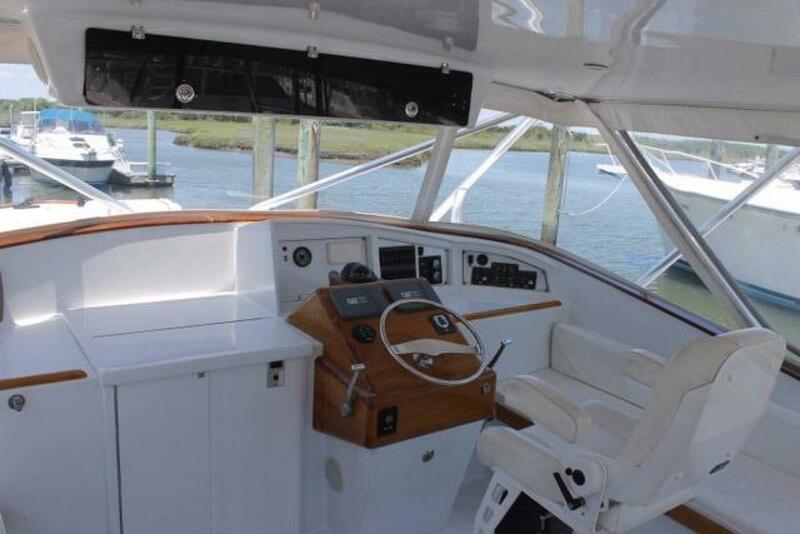 Design and Construction: For good looks DeSanti combines Palm Beach styling in the cockpit, deck, helm and bridge deck with refined Carolina-style lines, incorporating a modest bow flare, beautiful compound curves in the tumblehome and, of course, a dramatic broken sheer line. 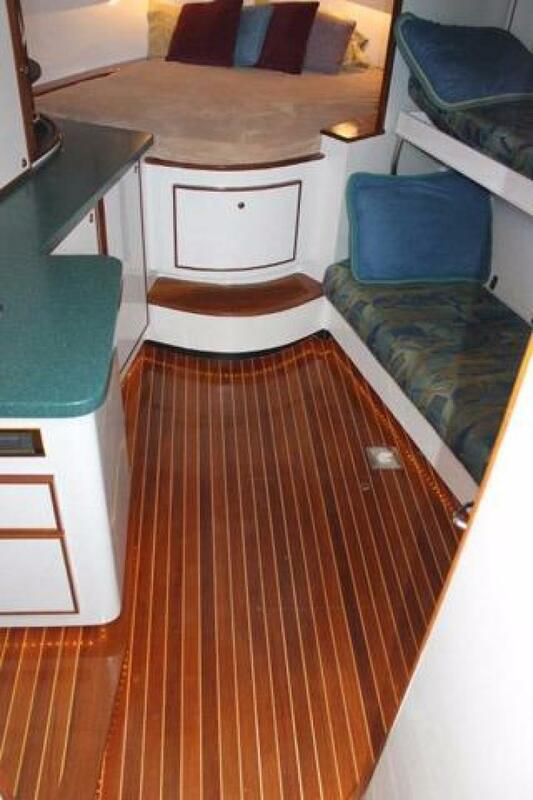 Built with a cold-molded system utilizing West System epoxies, the hull and deck consist of Douglas fir and marine-grade plywood formed on a jig. The resulting shell is then completely glassed inside and out. 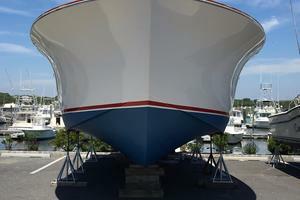 After many hours of fairing, the entire hull gets coated with Awlgrip. 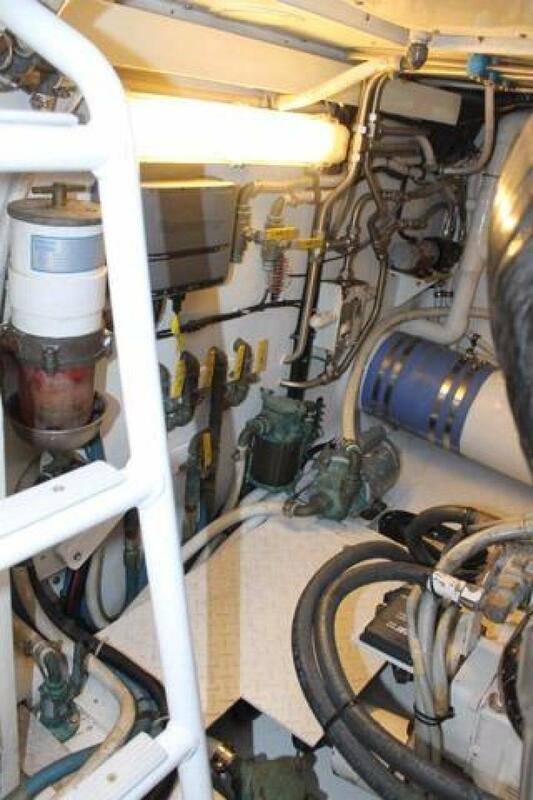 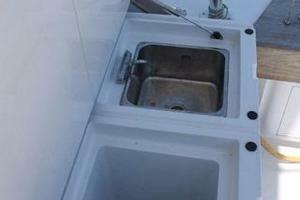 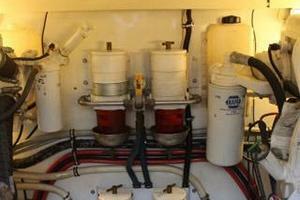 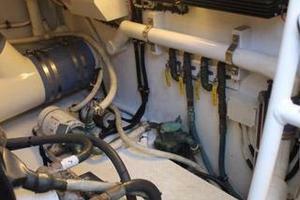 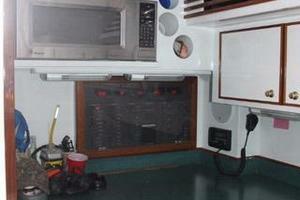 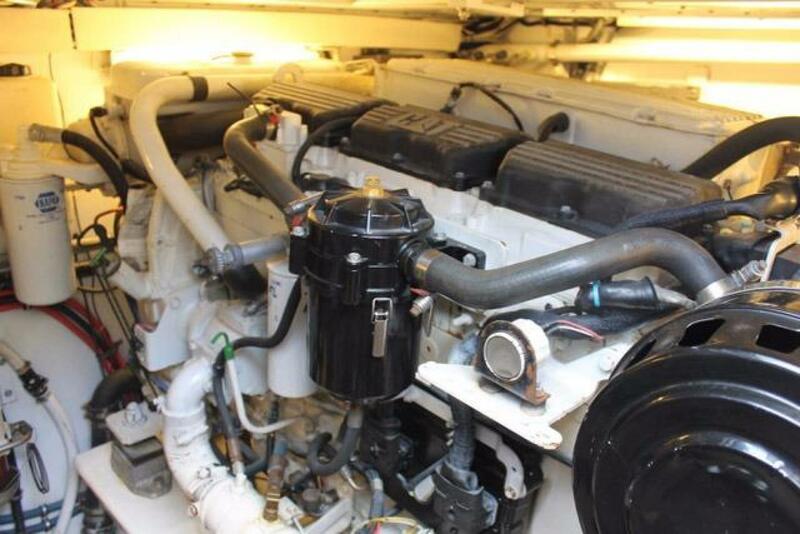 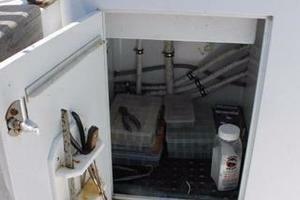 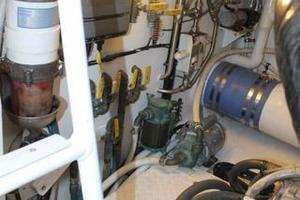 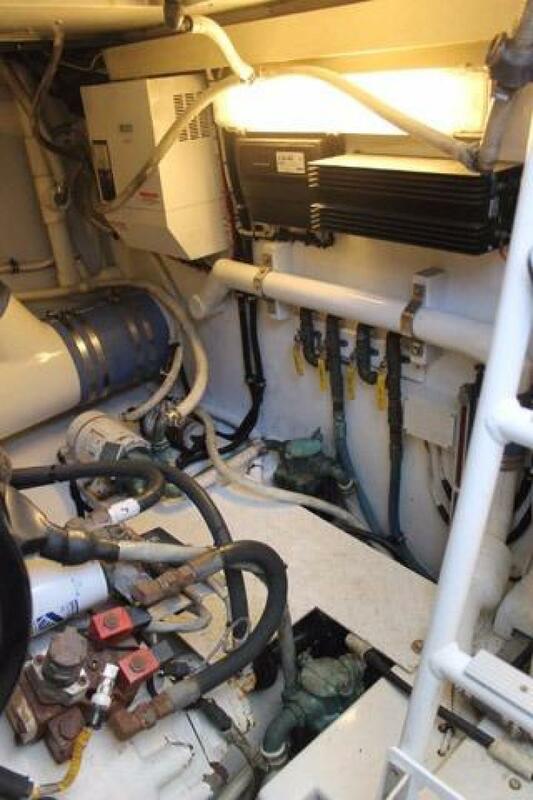 Engine Room: That same Awlgrip finish makes the bilges and bulkheads in the engine compartment a breeze to keep clean. 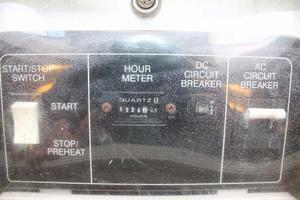 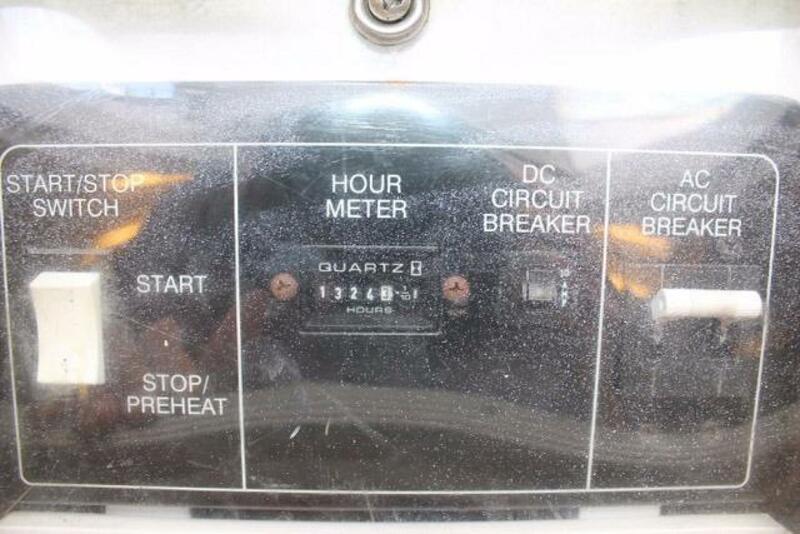 Included is an 8-kW diesel generator, a fuel transfer system with crossover valves and large-volume air vents. 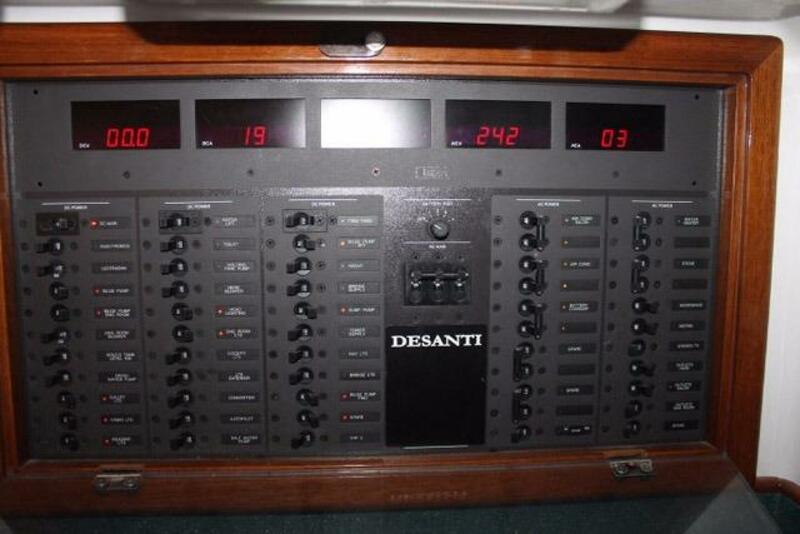 DeSanti also goes the extra mile in assuring a quiet ride by affixing advanced sound-deadening material to the engine room overhead, building in rock-solid aluminum engine beds and attaching the engines with special mounts made to reduce vibration. 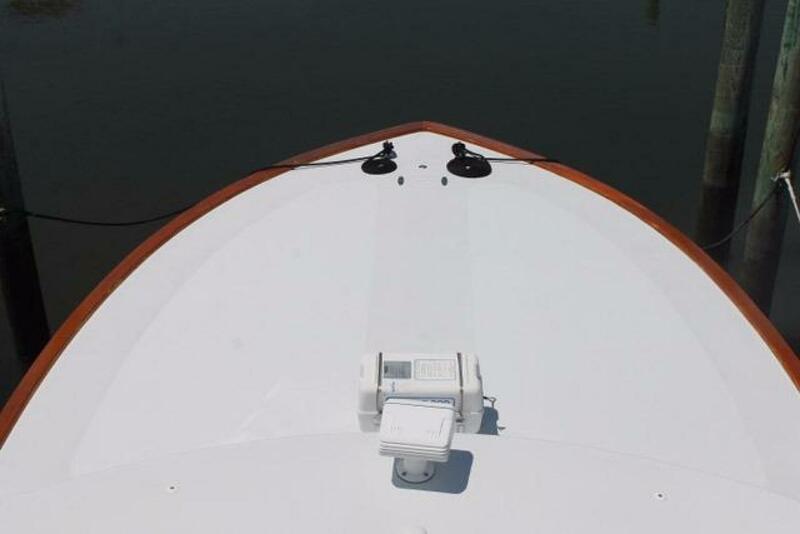 The bridge deck lifts over the engines, affording you complete access to all points of maintenance and compartment bulkheads.